This unique set comes tucked into a Red Colander with checkered tissue liner. Our Apple Pancake Mix with Diced Apple Bits will start your day off right! Top your pancakes with the delicious Apple Cider Syrup or Apple Jelly. There’s a Pancake Ring and French Vanilla Cappuccino, too! 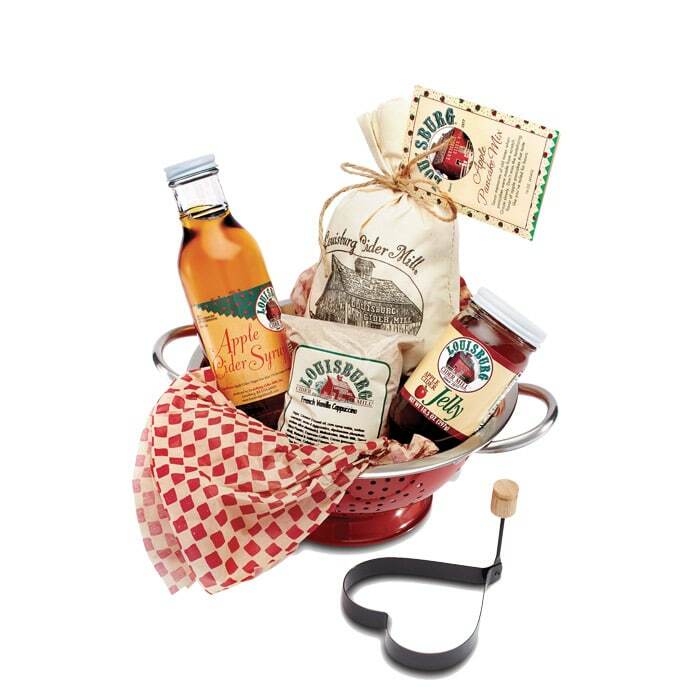 Great gift idea for a house warming, favorite teacher, new neighbor, retirement, or a thank you!